Hi Friends! 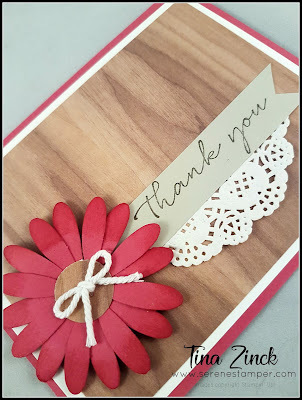 I love the simplicity of today's card, which was part of this month's "All Occasion Card Class". This is such an easy and pretty card to make and depending on the sentiment used, it can be customized for birthday, thinking of you, or any other occasion.